This is the fourth passage from John 6 that the Church invites us to meditate on at this time of the year, and the third in which Jesus gives the people a teaching based on their experience of the miraculous feeding. Some themes are repeated in all these passages, and yet each passage has its own dominant theme running through it. In the two previous passages Jesus presented himself to the people as “bread come down from heaven”. In this one, he pushes the metaphor further: he gives them his flesh to eat and his blood to drink. You may find the metaphor strange, but you should try to enter into it, so that it becomes part of your prayer. Remember that in Bible meditation it is not sufficient to get the meaning of a passage; you must get into the words themselves and grow to love them so that you feel moved to repeat them many times. The metaphor has its origins in “flesh and blood”, the biblical expression that means the reality of a human being, with a special stress on his or her weakness or limitations. For example, when in Matthew 16 Peter made his act of faith, it did not come from “flesh and blood”, but as a gift from God. So, too, St Paul warned the Ephesians that their struggle was not merely against “flesh and blood”, but against heavenly forces. Now this tells us something about God. Whereas we tend to imagine God in heaven looking down on us but not getting involved in the movement of our history, Jesus shows God entering into flesh and blood with us. But the passage also tells us about human relationships. In your meditation remember with gratitude people who have been Jesus for you – a parent, a spiritual guide, a friend, a national leader. Naturally you will feel the passage calling you to grow in your own relationships. Finally, a good meditation on this passage will help you to appreciate the Eucharist. It will show you why Jesus chose to be present in the Church under the form of bread and wine. – Verses 51 and 52: the people are questioning the very possibility of someone giving himself totally, as Jesus claims to do. Their response is cynical, but is it not typical of the way many would respond today? – Verse 52 invites us to think of people who have no life in them, and to go to the root cause – they have never experienced, or perhaps have never let themselves experience, the kind of selfless love that Jesus gives. – Verse 54 introduces the theme we have met several times in the chapter; deep relationship with God in Jesus lifts us up beyond the limitations of time and history. – In verse 55 we remember that there is false food and drink and to recognise them we can look at what relationship with Jesus does to us. Lord, we remember with gratitude the day when we realized for the first time that following Jesus meant eating his flesh and drinking his blood. that there are three persons in God and seven sacraments. Lord, self-centredness has become like a first principle of living today. when he comes to us in flesh and blood. with bitterness, envy or false pride. Lord, we pray for the people of South Africa, Ireland, Afghanistan, Sri Lanka, Ethiopia. For generations their ancestors ate the bread of suspicion, fear and hatred, and they are dead. This is not some magic formula, rather it is the mystery that our sharing here is not simply joining us to one another in the way that every common meal unites those who participate in it, but that in our sharing here we are caught up into the life of God. We are caught up into the life of the Father, who has sent his Son among us as our source of life and wisdom, and who has sent his Spirit into our hearts. 1. When I wander around a supermarket I can buy any food I fancy, from anywhere in the world, at any time in the year. While it might be hard to buy a Christmas Cake in July, virtually anything else I fancy — and can afford — is available all the time. I can choose a menu every day based on what I want, what I like, or what the latest television cooking sensation decrees is what stylish people eat. It could be a wintry day in January, yet I might want a salad and can find all that I need to make it: seasons no longer count, and I might have exotic flavours — all fresh — from three continents. We are less than a generation from when we marvelled that one could get’new’ potatoes all year round, yet in this world of maximum consumer choice we simply cannot grasp the full significance of Jesus describing himself as the bread of life. 3. This dependence on bread was not some obscure item of economic knowledge: everyone understood it and felt it. The fear of having no bread caused riots, made kings look foolish, made clergy look ineffective, and obtaining grain stood behind a whole range of exertions. One has only to think of the riots over food at the time of the French Revolution or the fear of famine that stalked Irish memories after the famine of 1847. Food and survival are linked in a way we cannot, thankfully, understand. We begin here, where we left off last week, with further misunderstanding of Jesus by the crowds. Clearly Jesus is not speaking of cannibalism and so he takes the image further by talking of his flesh and blood. Partaking in his flesh and blood means believing in him and in his life-giving death. Through their faith they are in communion with him and that communion is expressed through the Eucharist. The believer comes to live in him and draws life from him just as Jesus himself drew life from the Father. Everything here must be viewed from the perspective of Jesus’ death on the cross. Through the Eucharist we come to live by the same self sacrificing love that brought Jesus to Calvary. It is striking that in John’s account of the last supper there is no reference to Eucharist but rather a depiction of Jesus washing the disciples’ feet. John shows us the Eucharist in action and this is a reminder that the union with Jesus offered through Holy Communion cannot be thought of in some purely personal, devotional way. Jesus gives himself to us so that we can give ourselves to others. Even though the first reading today may be two and an half thousand years old, the call to seek wisdom and reject foolishness has a very contemporary ring to it. Human nature does not change but we are slow to learn from experience. Today, life itself on this wonderful planet is threatened by our folly and a refusal to recognise that our actions have consequences. Instead of feasting ourselves at the sustainable banquet at Wisdom’s house, we prefer to go blindly on gorging ourselves and ignoring the fact that God has called us to a responsible stewardship of his creation. Our celebration of the Eucharist should be a weekly reminder to us that we are all called to a life-giving relationship with God, with one another and with the planet we share. Two dimensions of Jewish worship provide the context of today’s Gospel, the fourth part of the “bread of life” discourse in John 6. In Jewish thought, blood was considered the vessel in which life was contained: as blood drained away from a body so did its life. The Jews, therefore, considered blood sacred, as belonging to God alone. In animal sacrifices, blood was ritually drained from the carcass and solemnly “sprinkled” upon the altar and the worshipers by the priest as a sign of being touched directly by the “life” of God. With this understanding, then, John summarizes his theology of the Eucharist, the new Passover banquet (remember that John’s Last Supper account will center around the “mandatum,” the theology of servanthood, rather than the blessing and breaking of the bread and the sharing of the cup). To feast on Jesus the “bread” is to “feast” on the very life of God -- to consume the Eucharist is to be consumed by God. In inviting us “to feed on his flesh and drink of my blood,” Jesus invites us to embrace the life of his Father: the life that finds joy in humble servanthood to others; the life that is centered in unconditional, total, sacrificial love; the life that seeks fulfillment not in the standards of this world but in the treasures of the next. In the “bread” of the Eucharist, Jesus shows us how to distinguish the values of God from the values of the marketplace; he instructs us on how to respond to the pressures and challenges of the world with justice and selflessness; he teaches us how to overcome our fears and doubts to become the people of compassion, reconciliation and hope that God created us to be. In the “bread” he gives us to eat, we become the body of Christ with and for one another; in his “blood” that he gives us to drink, his life of compassion, justice and selflessness flows within us, and we become what we have received: the sacrament of unity, peace and reconciliation. When Sally’s mother died, her Aunt Rebecca took her under her wing and loved Sally as if she was her own daughter. Although Aunt Rebecca was a bit quirky and Sally’s father made fun of her, Aunt Rebecca was always doing something for somebody else. From the wonders of childhood through the trauma of adolescence and into the struggles of adulthood, Sally could always come to Aunt Rebecca for advice, help, support and unconditional love. Rebecca also taught her niece the traditions of their family: caring for people who need help, a special skill for growing violets, and, most delightful of all, Grandmother’s special caramel cake -- a recipe that had been passed down from mother to daughter for generations. Then, one terrible summer, cancer claimed Rebecca’s life. Sally took her aunt’s death hard. In her grief, Sally became bitter and angry that God could take such a generous, loving woman. After the funeral, Sally undertook the task of cleaning out Rebecca’s house. She wanted something of Rebecca's to keep. She found a pot of violets that Aunt Rebecca had trouble getting to bloom; perhaps Sally would have better luck. In the kitchen, Sally found a cake tin with the last piece of the last caramel cake that Aunt Rebecca had baked. She and her aunt were the only ones who knew how to make it; now the secret was Sally's alone. With tears in her eyes, Sally savored every delicious morsel. As she swallowed the last crumb, Sally smiled, wiped her eyes, and resolved to take the secret recipe that had been passed on to her and share it with her own daughter. As Sally experiences her aunt’s love anew in her caramel cake, the Eucharist we celebrate at this table is much more than a re-enactment of the Last Supper event: in breaking, blessing and sharing this bread with one another, the love of God comes alive for us in the Eucharist. In inviting us to feed on his “flesh” and drink of his “blood,” Jesus invites us to embrace the life of his Father: the life that finds joy in humble service to others; the life that is centered in unconditional, total, sacrificial love; the life that seeks fulfillment not in the conventional wisdom of this world but in the holiness of the next. In the “bread” he gives us to eat, we become the body of Christ with and for one another; in his “blood” of the new covenant he gives us to drink, his life of compassion, justice and selflessness flows within us, and we become what we have received: the sacrament of unity, peace and reconciliation. Today's reading is a small portion of the Book of Proverbs which tries to give us words of God's wisdom to live by. The reading imagines Wisdom as a woman who has provided a plentiful table of meat and wine. All who lack wisdom are invited to leave their folly behind them and come to the banquet where something wonderful awaits them. The point the reading is making is that we have a choice to make: living according to the wisdom of God or living out our own foolish ways. It surprises us that God offers us his wisdom free of cost, we only have to come to him and it is ours for the asking. Will we live our life in partnership with God or do we think that we can manage on our own? In the gospels of the past Sundays we have seen Jesus proclaiming that the bread of life, his teachings, was more important than the Torah, the Law which the Israelites held sacred. In today’s Gospel Jesus proclaims that He is more important than anything else. "I am the living bread from heaven. Whoever eats this bread will live forever; and the bread which I will give is my flesh for the life of the world." Unlike the Israelites who ate manna, the food prepared and provided by God, here, we do not have food provided by God, but God himself becomes the food that sustains us. Unlike food that becomes part of us when we eat, we are invited to become part of God by receiving His Son in the Eucharist. The people refused to accept the invitation of Jesus saying, "How can this man give us his flesh to eat?" We too in so many ways have the same reaction. "Do I really need God in my life so much? I think I can manage most of the time; I only need him in emergencies. I have enough resources of my own to get along." Why bring God in the picture? Upon the mountain top lived a kind and gentle God and in the village far below, lived his people. They were a very busy people, with books to read, games to play and many meetings to attend to. They seldom thought about the kind and gentle God, so far away did he seem. No one had seen his face and some doubted he was even there at all. One day, God looked on his own and wanted very much that they should be friends. 'I must do some small things' he thought, 'to show them that I care.' And each day he sent a messenger to the village, with a pack upon his back, and in the pack was a gift for everyone in the village. Each day the gifts arrived and each day the people ran with open arms to gather them. Soon, however, they got used to being gifted. Some began to grab the gifts from the pack, some took more than they were meant to have, and some complained of the gifts that were too small. Far up on the mountain sat God. Day after lonely day he waited for a word of thanks, for a friendly word, or just recognition that he was there. But no word came. 'If only I can tell them that I am', God thought, 'How can I tell them I am a friend, and that I want to give them friendship most of all?' And then his eyes lit up. 'I know', he said, 'I'll give a party for my friends below. I'll give a party and invite them all. Surely if they spend some time with me, and learn to know how much I care, then of course they will come to know that I am their friend.' And so the invitations were sent out. Some just laughed and said, 'That's not for me! And some said, 'Spend a day with God? No way!' And some were very busy with their chores and said, 'Some other time maybe, but not today.' Some were tempted. 'Maybe it is for real, and maybe God wants to be my friend.' Timidly, they signed up for the day. But when the others laughed, they became embarrassed, and withdrew their names. The party day arrived, but no one showed up. And in his mountain home, the kind God sat. 'I only want to give them love', he said. How can I tell them? Make them understand? Is there no one who wants me for their friend?' And below the people laughed and cried. They worked and played and died. And seldom if ever did they think of the gentle God who loved them so very much. Touching the Body of Christ! Mother Teresa of Calcutta had a rule that when a newcomer arrived to join her Order, the Missionaries of Charity, the very next day the newcomer had to go to the Home of the Dying. One day a girl came from outside India to join. So Mother Teresa said to her: 'You saw with what love and care the priest touched Jesus in the Host during Mass. Now go to the Home for the Dying and do the same, because it is the same Jesus you will find there in the broken bodies of our poor.' Three hours later the newcomer came back and, with a big smile, said to her, 'Mother, I have been touching the body of Christ for three hours.' 'How? What did you do?' Mother Teresa asked her. 'When I arrived there,' she replied, 'they brought in a man who had fallen into a drain, and been there for some time. He was covered with dirt and had several wounds. I washed him and cleaned his wounds. As I did so I knew I was touching the Body of Christ.' 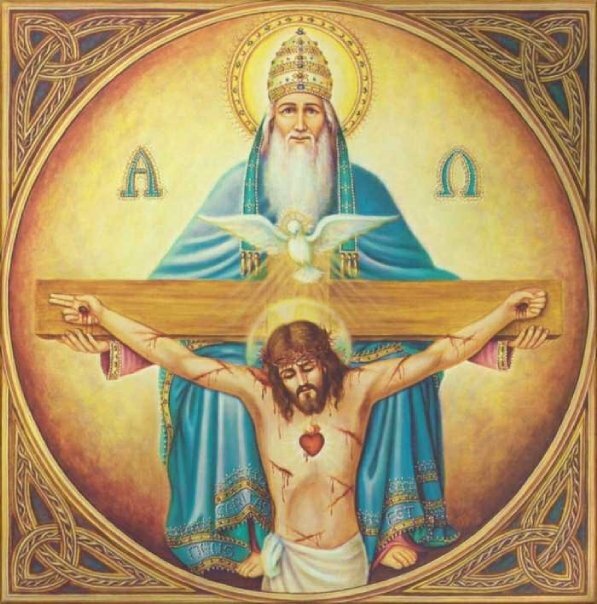 -To be able to make this kind of connection we need the help of the Lord himself. It is above all in the Eucharist that he gives us this help. "He didn’t know I had made my communion..."
I like the story of a little orphan, Joe. Joe went to be examined by the orphanage doctor. When he came back the nun asked, "What did the doctor say to you Joe?" And Joe answered, "He said to me, 'What a miserable little specimen you are.'" And Joe added, "But, Sister, I don't think he knew I had made my first communion." -You see that's what gives us value. You and I don't need to fight and fume to win love and respect. For God who made us, likes us so very much –even if we are really not very likeable –that he comes to us in communion and comradeship. Once there was a wealthy merchant who had his newly married son and his wife living in his household. The son had a kind heart, and devoted himself to charitable works, helping every poor person who asked for his assistance. In time the young wife gave birth to a son. In honour of the occasion, the happy grandfather arranged a great feast. Shortly before festivities were about to begin, the son asked, "Tell me father, what arrangements have you made for the seating of the guests? If you do the conventional thing and seat the rich at the head table and the poor near the door, it will distress me. You know very well how I love the poor. As this is my celebration, let me honour those who get no honour. Promise me, then, to seat the poor at the head table and the rich at the door." His father listened attentively and replied, "My son, it is difficult to change the world. Look at it this way: Why do poor people come to a feast? Because they are hungry and would like to eat a good meal. And why do rich people come to a feast? To get honour. They don't come to eat, because they have enough at home. Now just imagine what would happen if you seated the poor at the head table. They would sit there, very self-consciously, feeling everybody's eyes on them, and so would be ashamed to eat their fill. And what they'd eat they wouldn't enjoy. Don't you think it would be better for their sake, to eat to their heart's content without being ashamed? Then again, suppose I agreed to do what you're asking and seat the rich at the door; Don't you think they'd feel insulted? They don't come for the sake of the food, but for the honour. And if you don't give them that what will they get?" -The Eucharist is the banquet Jesus provides for his followers. All of us come to this banquet hungry; all of us need the bread that only Jesus can give – the bread of eternal life. And all of us come here poor before God. Here all of us are nourished. And all of us are honoured, because here every place is a place of honour. Piers Paul Read's best seller Alive: The Story of the Andes Survivors tells the true story of Uruguayan rugby players who chartered a plane to fly from Uruguay to Chile to compete in a tournament. Flying out on October 12th 1972, their airplane crashed over the snow-capped Andes Mountains. Out of forty passengers only a handful survived. Lost in the snowy Andes for two months, when all food supplies were exhausted, the weaker players sensed that death was near. Thus, they begged their companions to eat their flesh after they were dead. Surviving on the flesh of their friends, the few who remained alive tearfully narrated how their friends wanted them to survive by consuming their flesh. The Uruguayan rugby players offered their flesh to friends after death so that they could stay alive. Jesus challenges us to be flesh-and-blood Christians before death so that everything, everyone, everywhere may be fully 'Alive'. 1: Touching the body of Christ! Mother Teresa of Calcutta had a rule that when a newcomer arrived to join her Order, the Missionaries of Charity, the very next day the newcomer had to go to the Home of the Dying. One day a girl came from outside India to join the Order. Mother Teresa said to her: "You saw with what love and care the priest touched Jesus in the Host during Mass. Now go to the Home for the Dying and do the same, because it is the same Jesus you will find there in the broken bodies of our poor." Three hours later the newcomer came back and, with a big smile, said to her, "Mother, I have been touching the body of Christ for three hours." "How? What did you do?" Mother Teresa asked her. "When I arrived there," she replied, "they brought in a man who had fallen into a drain, and been there for some time. He was covered with dirt and had several wounds. I washed him and cleaned his wounds. As I did so I knew I was touching the body of Christ." To be able to make this kind of connection we need the help of the Lord himself. It is above all in the Eucharist that he gives us this help. New standards for diet were proposed recently. A new food pyramid was developed as a guide for healthy eating. It includes a base of bread, cereals, rice and pasta. The next level up the pyramid is vegetables and fruit. A still smaller next level is milk, yogurt, cheese, meat, poultry, fish, eggs, and nuts. The smallest group at the top is fats, oils and sweets. We can propose a food pyramid for those who want a healthy spiritual life. You may want to develop your own, but it might include a base of feeding on the Word of God in the Eucharist and by study and meditation on the Scriptures. Upon that base one is nourished by Christian fellowship. It should include servings of regular worship. To that a daily use of prayer and devotions could be added. On top of those elements should be time for Christian service to meet the needs of others. 5. Have you ever been assaulted by a smell? Walking down the street, creeping out of a vent in the sidewalk; strolling along the mid-way of a carnival or fair, wafting its way from a kiosk - sometimes an odor will "hit you" and almost send you reeling. Sometimes that odor will even thrust your psyche back into another time and place. Maybe it's the sweet smell of caramel apples. Maybe it's the pungent punch of garlic and onion. Maybe it's moldy and murky smell of a basement. Maybe it's the seaweedy smell of the beach. Whatever the odor, it is officious - meaning, it is "large and in charge." It teleports you back to a particular place and a particular time. Each of us has memory smells. Our sense of smell is the physical sense most associated with memory. Smells, more than sounds, more than sights, more than touches, transport our minds and bodies back in time to an imprinted memory. Garlic brings you back to your grandmother's kitchen. A wet woolen smell brings you back to the locker room-or to the terror of the day you fell in a frozen pond and almost drowned. Rising yeast smells like every Sunday dinner. Gasoline chokes you with memories of a car crash. Nothing evokes strong emotions, strong memories, strong longings, like the sense of smell. It is a powerful communicator to our inner being. This 85-year- old couple, having been married almost 60 years, had died in a car crash. They had been in good health for the last ten years, mainly due to their interest in healthful food and exercise. When they reached the Pearly Gates, St. Peter took them to their mansion, which was decked out with a beautiful kitchen, a master bath suite and a Jacuzzi. As they "ooohed and aaahed,” the old man asked Peter how much all this was going to cost. "It's free," Peter replied, "this is Heaven." Next they went to see the championship golf course that their heavenly home backed up to. St. Peter told them they would have golfing privileges every day. The old man asked, "What are the greens fees?" Peter's reply, "This is heaven; you play for free." Next they went to the clubhouse and saw a lavish buffet laid out for them. "How much does it cost to eat?" asked the old man. "Don't you understand yet? This is heaven! It's free!" Peter replied. "Well, where are the low fat and low cholesterol foods?" the old man asked timidly. Peter smiled and said, "That's the best part...you can eat as much as you like of whatever you like and you never get fat and you never get sick. This is Heaven." Eat this Bread and you will live, he promises. But even more than that, eat this Bread and I will abide with you, and you will abide with me. I like that word abide. I have pictures again: look, can you see them? They are images of home, of dwelling, of staying with, of living in and with, of trusting and being there. To abide is to know that no matter what comes our way, we will not be deserted nor left to face whatever the matter is on our own. Christ comes to live within us, to take up residence in our spirits, and promises not to leave. Over the years I have witnessed many scenes of this abiding presence played out in the lives of persons I have known. None are more powerful, more moving, more meaningful than the images which walk across my mind of faithful spouses who care for each other to the very end. Let me draw them for you. There is one now, walking his wife, a victim of Alzheimer's disease, down the streets in front of the nursing home. She in a wheelchair, not knowing a thing. He pushing her faithfully day after day. Their love of more than 60 years abides in his heart. Here is another: the picture of a woman standing beside the bed of her husband, holding a hand, offering a calm, reassuring voice to this one who has only moments before been thrown into convulsions. "I will not leave you." Finally, here is the unspoken presence of a Loving Friend who calms my own grieving spirit in the dark hospital room where my father lays dying. "Those who eat my flesh? abide in me, and I in them (John 6:56, NRSV)." In a world of fast food chains in every village, of drive-through windows, of buffet lines and all-you-can-eat salad bars, we are today offered a different food, the Bread of Life. It is food for a hungry soul. It is eternal food which, when you eat it, satisfies the craving of your heart and opens your eyes to see that all else is imitation and second rate. A man asked God, "What does a billion dollars mean to you who are all powerful?" "Hardly a penny." God said. Then the man asked God , "And what are a thousand centuries to you?" God answered "Hardly a second!!" Thinking he had God backed into a corner, the man then said, "Then if that's the case, O, Lord give me a penny !!" "Sure," God replied. "In just a minute." Wisdom isn't outsmarting God, wisdom is living in and with God. Wisdom is being in Christ and surrounded by Christ. Wisdom is eating and drinking from the feast which God has prepared for us. The theologian John Macquarrie relates that the Scottish churchman, George Macleod, used to watch grain ships from Canada and the United States bringing their cargoes of wheat into Liverpool harbor, and he reflected that the wheat has the potentiality of becoming the body of Christ. This is the point at which sacramental theology spills over into the market place. Bread is not a mere commodity; things are not mere bits of matter. We can learn something of this from natural theology, but we learn it above all from Jesus Christ, the bread of God which comes down from heaven and gives life to the world. There is an Irish saying, "the person who speaks the truth should have one foot in the stirrup." He should be ready to ride off at once. People do not like the truth, especially when it challenges their attitudes; and the reaction is often to try to destroy the evidence of the truth or the one who witnesses to it. When Seymour passed away, God greeted him at the Pearly Gates. "Thou be hungry, Seymour?" said God. "I could eat," Seymour replied. So God opened a can of tuna and reached for a chunk of rye bread and they shared it. While eating this humble meal, Seymour glanced down into Hell and saw the inhabitants devouring huge steaks, lobsters, pheasants, pastries, and fine wines. Curious, but deeply trusting, Seymour remained quiet. The next day God again invited Seymour for another meal. Again, it was tuna and rye bread. Once again looking down, Seymour could see the denizens of Hell enjoying caviar, champagne, lamb, truffles, and chocolates. Still Seymour said nothing. The following day, mealtime arrived and God opened another can of tuna. Seymour could contain himself no longer. Meekly, he said: "God, I am grateful to be in heaven with you as a reward for the pious, obedient life I led. But here in heaven all I get to eat is tuna and a piece of rye bread and in the Other Place they eat like emperors and kings! Forgive me, O God, but I just don't understand." God sighed: "Let's be honest, Seymour. For just two people does it pay to cook?" Barbara Brokhoff says in her book, Faith Alive, "The Happy Hour for the Christian should be the hour of worship on Sunday morning, but how do you honestly feel when you are awakened by the alarm on the Lord's Day and you realize it is another "Church Day"? Can you hardly wait for the service time to roll around or do you roll over in bed, moan and groan and cover your head, and wish that once, once again maybe once more like last Sunday the one before, you would, or could sleep in and forget the whole boring, time consuming thing?? Is the thought of worship agony or ecstasy? I think we are coming to meet God--not just anybody, but God!! Shouldn't the delightful suspense of worship make our breath short and our hearts beat faster?" I'm reminded of a true story of a soldier who was severely wounded. When he was out of surgery, the doctors said that there was a good chance for recovery, except that the soldier wouldn't eat anything. The nurses and nuns tried everything, but he refused all food-drinking only water and juice. One of his buddies knew why the soldier wouldn't eat-he was homesick. So, his friend, since the hospital wasn't too far from the soldier's home, offered to bring the young man's father to visit him. The commanding officer approved and the friend went to the parents' home. As the father was about to leave for the hospital, the mother wrapped up a loaf of fresh bread for her son. Well, the patient was very happy to see his father but he still wouldn't eat-that is, until the father said; "Son, this bread was made by your mother, especially for you". The boy brightened and began to eat. I think that you can guess where I'm going with that story. You and I are that boy. We are the ones who have been wounded in the battle of life. We are the ones who've been wounded by sin, by trials and pains, by loss and by our forgetfulness of God. We lose our taste for the food that will strengthen our souls. Holy Communion gives us life, spiritual life, God's life. It gives us spiritual healing and spiritual strength. There was nothing 'magic' about the mother's bread unless, that is, one feels that 'love' is magic--which, of course, it is. There's a beautiful incident recorded by Thomas Pettepiece, a Methodist pastor, who was a political prisoner, a prisoner of conscience. Pettepiece writes of his first Easter Sunday spent in prison. He was among 10,000 prisoners. Most of the men had lost everything: their homes, their jobs, their furniture, their contact with their families. It was Easter Sunday, and they wanted to celebrate Communion. But, they had no cup for Communion. They had no wine for Communion. They didn't even have water for Communion. Nor did they have any bread for the Sacrament. So, they practiced the Communion of Empty Hands. "This meal in which we take part," Pettepeice said, "reminds us of the imprisonment, the torture, the death and final victory of the resurrection of Jesus Christ. The bread is the body which he gave for humanity. The fact that we have none represents very well the lack of bread in the hunger of so many millions of human beings. The wine, which we don't have today, is his blood, and represents our dream of a united humanity, of a just society, without difference of race or class." Then Pettepiece, the pastor, held out his empty hand to the next person on his right, and passed on the imaginary loaf. Each one took a piece and passed it on. Then he said, "Take, eat, this is my body, which is broken for you. Do this in remembrance of me." And together they ate the imaginary bread, trying to imagine tasting it. After a moment they passed around the non-existent chalice, each imagining he was drinking from it. "Take, drink, this is the blood of Christ which was shed for you ... Let us give thanks, sure that Christ is here with us, strengthening us." They gave thanks to God and then stood up and embraced each other. And a while later, one of the non-Christian prisoners came up to them and said, "You people have something special, which I would like to have." And the father of a girl who had died came up to Pettepiece and said, "Pastor, this was a real experience. I believe that today I discovered what faith is ..." (from Visions of a World Hungry, quoted in A Guide To Prayer, Rueben P. Job and Norman Shawchuck, editors, The Upper Room, p. 143). Alex Gondola, Jr., Come As You Are, CSS Publishing Company. Bread suggests togetherness, care and love, hopes and dreams, fun and adventure. Let's say some new friends invite you to their house for a meal. When you are a guest in their home, they are sharing their intimacy with you. They are sharing with you some of the privacy of that place where they live every day, eat every day, love every day, work on their problems, argue from time to time, sleep and depart for work and pleasure and return for rest, every day. After graciously receiving you, they show you around their home in which they take deep pride. Then you go to the dining room for the meal. You find the table set with care, the food exceptionally delicious, and the conversation flows easily. Simply put, it becomes a lovely evening and you leave feeling full in every way. You enjoy bread from the kitchen, but much more. You enjoy the bread of being graciously received, the bread of informed and lively conversation, and the bread of being in beautiful surroundings..
Magnify that thousands of times and you begin to have a glimmer of what the church perceives the Holy Eucharist to be. In the Eucharist Jesus and "Bread of Life" are one. In the Eucharist bread and wine are the elements that nurture faith in God. One must not take this passage as a description of an actual dialogue between Jesus and some of those who followed him. Rather it doubtless refers to a difficulty in St. John’s community over the Eucharist and the presence of Jesus in the Eucharist, a difficulty which has plagued the Church through it’s history, mostly because have tried to reduce mystery to prose, to explain the inexplicable. The Eucharist demands faith at every time and place, but less faith in the how then in the fact of the presence of Jesus. As the first reading suggests faith opens up the fonts of wisdom and feeds us with it. A young college student went to the Newman chaplain and said, I believe in God and in life after death and in resurrection and in the church, but I cannot accept that Jesus is really present, body and blood, soul and divinity in the Eucharist. I’m sorry, but I just can't. The priest thought this was like swallowing the grizzly bear and straining at the gnat. Resurrection, he said, is a humungous miracle. Real Presence is kind of ordinary in comparison. I don’t believe I really eat Jesus, the young man said. It’s just bread that’s all. You don’t eat Jesus, the priest replied, knowing that he had one of those kids who somehow or the other had run into an old fashioned teacher, one that still thought it was a sacrilege for anyone but a priest to touch the sacred host. The poor kid was really worried about how the doctrine of the real presence exposed Jesus to desecration if even a tiny piece was somehow lost. The priest went through a lot of theological explanations which did not satisfy the young man. I just have to understand how he works it out, the lad pleaded. Have you figured out how God created the universe from nothing in the snap of a finger, the priest asked. Of course not the young man replied. Then his voice faded off. Oh, I get it, he said softly. I’m not supposed to understand everything. 16) Unhappily few of the lines that follow are original. The majority belong to those writers known as Author Unknown. Where possible, I have identified the artist. He was conceived and born contrary to all biological law. He grew up to be a very bothersome man. He told the truth and it cost Him His life. He could have avoided assassination by going fishing in Galilee for the weekend. He was often seen talking and laughing after His death. He remains forever a question mark with which people are never quite finished. Non-believers forever worry lest they might be wrong. The Church He founded is discussed daily on the first pages of the major newspapers of the world. What might He have accomplished had He lived to 50? 17) As a babe, He terrified a king. As a youngster, He puzzled scholars. As a man, He intimidated a Roman governor. To borrow from GK Chesterton, He was constantly in hot water. He did not seem to mind. He felt it would keep Him clean. He had no training in psychiatry. Yet, He has cured more minds and spirits than anyone else in history. Alexander, Caesar, and Napoleon established mighty empires by force. He began His with love and service. Theirs have disappeared. His remains. Statesmen have legislated on their turn. Artists and philosophers have reigned for a short period. Some have said they were more popular than He. But their names are written in the sand. His is spoken with frequency by one billion followers. Each week millions assemble to salute Him in the Eucharist. He spoke that last night to a small band of illiterate men as though the memorial ceremony would continue down through the centuries. History has proved Him correct. He calls us to Liturgy both to remember Him and worship Him. The first food consumed on the moon was bread and wine consumed in His name. Those who discover they cannot believe in Him live with sorrow. Those who believe but lack the courage to resemble Him survive with regret. Though centuries separate us from Him, He is more vital than we. We will not even be memories in the next generation, but He will flourish. He no longer stands in the dock. He has nothing to prove. He has survived the test of time. It is we who are on trial in our reaction to Him. Unlike countless peoples who impacted society by jumping in front of it and going with the flow, He got in front of the parade to take it in the opposite direction. He presides over the world like a Colossus. After almost a century in USSR gulags, He walks openly in Moscow, Kiev, and St Petersburg. No one seems surprised. No historian can portray humanity honestly without giving Him, in HG Wells' words, the foremost place. Millions utter His name upon rising. Other millions shout it throughout the day in anger or pain. For still other millions, it is the last name they whisper before they die and the first they expect to speak when they awaken in His presence. Robert Griffin says He is the hero you could never invent. Angels rush to Him. Devils flee from Him. He not only pushed the envelope. He broke through it. In a poor man's apparel, He pursues us always. To borrow Tennessee William's language, He is the long delayed but always expected something we live for. Ralph Waldo Emerson said His name is not so much written into the history of the world as plowed. Harry Emerson Fosdick says He changed BC into AD. Albert Nolan suggests He has no interest in people theorizing about Him but rather reproducing Him in their lives. Time magazine suggests that in His lifetime, He had no equal. It is the same today. It is not He who needs us. It is we who need Him. There is a story of a very poor family who emigrated to the USA from Europe many years ago on an old fashioned ocean liner. Coming from an obscure country there was no one on board that could speak their language. They were down below the water-line in steerage. Having no experience of a sea voyage they brought enough hard bread and cheese to last the journey. One meal time the youngest son was missing after a while he came back after having eaten in the large dining room upstairs. The family were shocked but he assured them that another young boy whom he had met had explained to him in sign language that the meals were included in the price of the ticket. The world is full of people like them totally unaware of the incredible Banquet of Life that God spreads for them each day in the Eucharist. Jesus says: I am the Bread of Life, whoever eats this bread will live forever, and the bread that I shall give is my flesh for the life of the world. THE JOKE OF THE WEEK: # 1: Life-giving bread in Heaven’s buffet: This 85-year-old couple, having been married almost 60 years, had died in a car crash. They had been in good health for the last ten years, mainly due to their interest in healthful food and exercise. When they reached the Pearly Gates, St. Peter took them to their mansion, which was decked out with a beautiful kitchen, a master bath suite and a Jacuzzi. As they “ooohed and aaahed,” the old man asked Peter how much all this was going to cost. Next they went to see the championship golf course that their Heavenly home backed up to. St. Peter told them they would have golfing privileges every day. Next they went to the clubhouse and saw a lavish buffet laid out for them. “How much does it cost to eat?” asked the old man. “Don’t you understand yet? This is Heaven! It’s free!” Peter replied. 1) “I AM the Bread of Life.” Take the story of King Arthur and the Knights of the Round Table. It is generally agreed that there was a man named Arthur in Britain who was a war hero some 1500 years ago. He waged a successful campaign against Saxon settlers. That’s about all that can be said with any certainty. Was he a king? Probably not. The Round Table? Unclear whether it existed. Might have. But there was no sword in the stone, no Merlin the magician, and no Holy Grail. These were all legends that developed around a great war hero. We all understand legends. We have many in our own culture. The problem with this view is it is nearly impossible to go into the Bible and separate the man, the message, and miracles. Look at it this way. At the very core of Jesus’ teachings is the message that he is Divine. If you remove this from his message you remove much of his teaching. In the Gospel of John alone you have the eight “I Am” sayings. Jesus said of himself: “I AM the Bread of Life.” “I AM the Light of the World.” “Before Abraham was, I AM.” “I AM the Door.” “I AM the Good Shepherd.” “I AM the Resurrection and the Life.” “I AM the Way and the Truth and the Life.” “I AM the True Vine.” These eight sayings have one conclusion, that Jesus is God. His claim of Deity is not the fictitious work of a writer. The list of choices is that Jesus is a liar, lunatic, legend, or Lord. No. He is not a liar, a lunatic, or a legend. He is Lord and we can rely on his promises. 3) Garlic bread with spaghetti: A new study by the Smell & Taste Treatment and Research Foundation has found that serving garlic bread with spaghetti helps families get along better. In the experiment, those families who smelled and ate garlic bread not only cut down on the number of negative interactions between family members by nearly a quarter and positive interactions actually increased by 7.4 percent. The ones most likely affected by the garlic bread were older males, especially fathers, as the aroma of the bread induced nostalgic feelings in them. The study concluded: “Serving garlic bread at dinner enhanced the quality of family interactions. This has potential application in promoting and maintaining shared family experiences, thus stabilizing the family unit. It also may have utility as an adjunct to family therapy.” In today’s Gospel, Jesus claims that he is the true Bread from Heaven, which will make us members of the heavenly family for all eternity. 8) Bill of Rights: Several years ago a couple of reporters conducted an experiment on the streets of Miami, Florida. They printed up a copy of the Bill of Rights in the form of a petition, put it on a clipboard, and then stopped people on the sidewalk and asked them to sign it. As you know, the first ten amendments to the United States Constitution are the Bill of Rights, and they were adopted and put into effect in December of 1791. The reporters were surprised at people’s reaction when asked to add their names to the so-called petition. Most people glanced at the document, shook their heads, and walked on by without signing. Several people became angry with the reporters and accused them of being radical enemies of the American way of life. In fact, the experiment ended when the reporters found themselves surrounded by a dozen or so passers-by who were shaking their fists at them and calling them subversive Communists who ought to be thrown in jail. What the experiment demonstrated is what we already know. Many citizens of the United States pay lip service to their country and its heritage. They claim to be loyal and patriotic in every way. They say they are proud to belong to a country as great as ours. And yet at the same time they haven’t the vaguest notion what the United States Constitution actually says, and they consider the Bill of Rights to be a radical, anti-American document. In other words, these people claim citizenship, but they have not internalized the basic meaning of being a citizen. They claim the privilege, but they will not eat and drink the ethos of United States of America. The same sort of thing is described in today’s Gospel. Jesus says, I am the living Bread that came down from Heaven. . . Unless you eat the Flesh of the Son of Man and drink his Blood, you have no Life in you. 9) Vultures and humming birds: There are two birds that fly over our nation’s deserts: One is the hummingbird and the other is the vulture. The vultures find the rotting meat of the desert, because that is what they look for. They thrive on that diet. But hummingbirds ignore the smelly flesh of dead animals. Instead, they look for the colorful blossoms of desert plants. The vultures live on what was. They live on the past. They fill themselves with what is dead and gone. But hummingbirds live on what is. They seek new life. They fill themselves with freshness and life. Each bird finds what it is looking for. We all do. In the fifth chapter of Ephesians (today’s second reading), Paul outlines proper behavior for good living. In our short passage, he admonishes his readers to be careful how they live. He is brief and to the point. Three things we must do: Be wise, be sober, and be thankful. It’s a short list but if we can orient our daily lives around these three—be wise, be sober, be thankful—we will transform not only our lives but also the lives of our family, friends, Church, and neighbors. 10) “Twinkle, twinkle, little star.” An astronomer says to a priest. “Father, you priests and preachers always make the Bible and being a Christian unnecessarily complicated with all your Biblical exegesis and theological and ecclesiastical doctrines. Humbug. It’s all very simple. Do unto others as you would have others do unto you. That’s all you need to know and all you need to do.” Well, the priest thought for a second and then answered. “You know, I’m glad you raised that issue. I’ve been thinking about astronomy and astronomers with all your theories about an expanding universe and black holes and myriad galaxies. We don’t need all that scientific mumbo jumbo. Astronomy is actually quite simple and can be summed up in a few words. “Twinkle, twinkle, little star. How I wonder what you are.” John chapter six is Jesus’ simple explanation of a Mystery of God sharing His Presence and Life with human beings. 11) Madonna and Mother Teresa (St. Teresa of Calcutta): Someone has said that our model for living today is more like Madonna, the “material girl,” than it is like Mother Teresa. Have we somehow confused our wants with our needs? So, we may be hungry – not hungry for food, but hungry in another way. In one of her books, Mother Teresa writes: “The spiritual poverty of the Western world is much greater than the physical poverty of [Third World] people. You in the West have millions of people who suffer such terrible loneliness and emptiness. They feel unwanted and unloved … These people are not hungry in a physical sense, but they are in another way. They know they need something more than money, yet they don’t know what it is. What they are missing really is a living relationship with God.” (Life in the Spirit, Harper and Row Publishers, pp. 13-14). 12) St. Tarsicius on the Ropes, martyr for the Holy Eucharist: Throughout Church history, this truth of our faith has turned normal, mediocre sinners into courageous saints, as in the case of St Tarsicius. • St. Tarsicius died on the Appian Way in Rome in the year 257, a victim of the bloodiest wave of persecutions yet to crash upon the growing Church. • Vicious rumors at the time falsely accused Christians of cannibalism (they said the Holy Eucharist was the flesh of murdered infants) and other gruesome practices, tagging believers as the Empire’s archenemies, punishable with torture and death. • The faithful had to gather in secret for Mass and Holy Communion. • The prisons bulged with Christians awaiting trial and death. • Isolated, threatened with torture, and dazed by the steady stream of grisly martyrdoms, many of these prisoners lost courage and renounced their Faith to save their lives. • So the local pastors started sending deacons and acolytes on the treacherous mission of bringing Holy Communion to strengthen the Christians in prison. The teenaged St. Tarsicius was one of them. • While on such an errand, a group of Roman soldiers stopped him. • They discovered what he was doing and demanded that he hand over the Holy Eucharist. • He refused, knowing that they only wanted to profane it. • The soldiers became violent; Tarsicius would not give in. • They began to hurl sticks at him; still he clutched the precious Body of the Lord. • They dug up the flagstones of the pavement and rained them down upon him, until he died. • When they grabbed his body to claim their prize, they found no sign of the Sacred Hosts he had been carrying; Tarsicius had fulfilled his mission. St. Tarsicius risked his life because he knew that his brothers and sisters needed food for their Christian souls or they would weaken in their fight to keep the Faith. Christ knows we can’t go it alone, and so he goes with us, through the Eucharist. (E-Priest). 13) In memory of Aunt Rebecca: When Sally’s mother died, her Aunt Rebecca took her under her wing and loved Sally as if she was her own daughter. Although Aunt Rebecca was a bit quirky and Sally’s father made fun of her, Aunt Rebecca was always doing something for somebody else. From the wonders of childhood through the trauma of adolescence and into the struggles of adulthood, Sally could always come to Aunt Rebecca for advice, help, support and unconditional love. Rebecca also taught her niece the traditions of their family: caring for people who need help, a special skill for growing violets, and, most delightful of all, Grandmother’s special caramel cake — a recipe that had been passed down from mother to daughter for generations. Then, one terrible summer, cancer claimed Rebecca’s life. Sally took her aunt’s death hard. In her grief, Sally became bitter and angry that God could take such a generous, loving woman. After the funeral, Sally undertook the task of cleaning out Rebecca’s house. She wanted something of Rebecca’s to keep. She found a pot of violets that Aunt Rebecca had trouble getting to bloom; perhaps Sally would have better luck. In the kitchen, Sally found a cake tin with the last piece of the last caramel cake that Aunt Rebecca had baked. She and her aunt were the only ones who knew how to make it; now the secret was Sally’s alone. With tears in her eyes, Sally savored every delicious morsel. As she swallowed the last crumb, Sally smiled, wiped her eyes, and resolved to take the secret recipe that had been passed on to her and share it with her own daughter. [Adapted from Pastoral Counseling: A Ministry of the Church by John Patton.] As Sally experienced her aunt’s love anew in her caramel cake, the Eucharist we celebrate at this table is much more than a re-enactment of the Last Supper event: in breaking, blessing and sharing this Bread with one another, the love of God comes alive for us in the Eucharist. (Fr. Kayala). 14) “O, Lord Give Me a Penny”: A man asked God, “What does a billion dollars mean to You who are all powerful?” “Hardly a penny.” God said. Then the man asked God, “And what are a thousand centuries to You?” God answered “Hardly a second! !” Thinking he had God backed into a corner, the man then said, “Then if that’s the case, O, Lord give me a penny! !” “Sure,” God replied, “in just a minute.” Wisdom isn’t outsmarting God; wisdom is living in and with God. Wisdom is being in Christ and surrounded by Christ. Wisdom is eating and drinking from the feast, which God has prepared for us. (Fr. Kayala). 16) This was all included with the tickets! There was once a family that had fallen on hard times when the family business failed, and they lost everything. The neighbors were very sympathetic, and the children were embarrassed because they had to move to a mobile home and sell their house and business premises. Some of the neighbors came to the parents to offer their help, and to find out how best they might be able to help. The father told them that the one thing he wanted more than anything in the world was to be able to take his wife and kids and move off to America where nobody would know them and try and start again. The neighbors worked on the fund-raising, and after a certain length of time they had sufficient money for tickets by boat from Cobh to New York. The family had never been away from home before, so they had no idea how to prepare for such a voyage. They bought bread and cheese and packed a few boxes with sandwiches. They gathered together in a single cabin in the boat with no desire to mix with others, in case of finding themselves embarrassed or out of their depths. On the first, second, third, fourth and fifth days they ate sandwiches. From then on, the sandwiches began to go bad. The cheese and the bread had blue-mould on them, and they began to smell. By now they were all in a bad way. They were sick, hungry and deeply discouraged. With a day or two to go before arriving in New York, one little lad begged his dad for a few pennies, so he could go up on the deck and buy a few sweets. The dad gave him the pennies and off he went. He didn’t return and after about half an hour, the father was forced to go up on deck to look for him. When he came up on the deck, he was totally amazed by what he saw. There were long tables surrounded by people and they were all eating a beautiful dinner. There in the midst of them was his son, with a plate of turkey, ham, potatoes, and vegetables in front of him, together with a large beaker of Coke. The father came up behind him and whispered, “Why did you do this? You know rightly, we cannot afford this.” The young lad’s eyes lit up as he replied: “Dad, we could have had this every day. This was all included with the tickets!”-When we enter heaven and look around… Jesus could say “I never mentioned sandwiches once in the whole gospel. I often spoke of being invited to the feast…” Jack McArdle in ‘And that’s the Gospel Truth’ (Quoted by Fr. Botelho). 17) Giving up or going on! One day a partially deaf boy came home from school with a note from his teacher. He handed it to his mother. She opened it and slowly read it. The note suggested that her son was too dull to learn. He was holding back the whole class. It would be better for everybody if he would withdraw from school. When the boy’s mother finished reading the note, she felt awful. She also felt challenged. “My son, Tom, is not too dull to learn,” she said to herself. “I’ll teach him myself.” When Tom died many years later, the entire nation honored him in a remarkable way. At exactly 9:59 pm Eastern Standard Time, every home in the United States turned off its lights for one minute, as a tribute to the man who had invented those lights. Thomas Edison invented not only the electric light but also the movie projector and the record player. When he died, the boy who was ‘too dull to learn’ had over a thousand patents to his credit, thanks to his mother who never gave up! After proclaiming his controversial doctrine on the Bread of Life from Heaven, Jesus too never gave up even when he lost most of his followers. Mark Link, in ‘Journey ’(Quoted by Fr. Botelho). 18) Don’t doubt God’s Word: The night fell heavy in the heights of the mountains and the man could not see anything. All was black. Zero visibility, and the moon and the stars were covered by the clouds. As he was climbing only a few feet away from the top of the mountain, he slipped and fell in to the air, falling at great speed. He could only see black spots as he went down, and the terrible sensation of being sucked by gravity. He kept falling and in the moments of great fear, it came to his mind all the good and bad episodes of his life. He was thinking now about how close death was getting, when all of a sudden, he felt the rope tied to his waist pull him very hard. His body was hanging in the air. Only the rope was holding him and in that moment of stillness he had no other choice but to scream: “Help me God”. All of a sudden, a deep voice coming from the sky answered, “What do you want me to do?” “Save me God”. “Do you really think I can save you?” “Of course, I believe You can.” “Then cut the rope tied to your waist.” There was a moment of silence and the man decided to hold on to the rope with all his strength. The rescue team tells that the next day a climber was found dead and frozen, his body hanging from a rope, his hands holding tight to it, only one foot away from the ground. Lesson from the Story: And We? How attached are we to our rope? Will we let go??? Don’t ever doubt about the Words of God. We should never say that He has forgotten us or abandoned us. Anonymous (Quoted by Fr. Botelho).